Work towards two goals at once by saving money and helping the environment! It is difficult to find ways to give back that actually help you save money instead of needing to spend it. Depending on the amount of time you have available, you can also still find ways to meet both goals in just a few seconds a day. Encourage your family and friends to help you meet your goals within your household and daily lifestyle. (They will probably thank you if they start to see more flexibility in their financial budget too.) Go Green with these environmentally-friendly, money-saving ideas! Take advantage of a cool breeze, open your windows, and shut off your air conditioning. If you are ready to upgrade fixtures around the house, look for energy-efficient ceiling fans, light bulbs, and appliances. Consider all of the electronics in your house that are draining energy, even when not in use. Use a power strip to shut off the power supply to electronics such as computers, gaming systems, televisions, etc. Try installing one (or all) of these items in your home: programmable thermostat, low-flow shower heads or solar powered landscape lights. If you’re craving food from a certain restaurant, try finding a similar recipe online and making it for yourself. You can likely make a larger batch to use for leftovers the next day too. (If you order takeout, it usually comes in packaging that is not good for the environment) Not only will you save money, you’ll also reduce your carbon footprint as you don’t need to transport yourself to the restaurant. Use the local library for books, magazines, and videos. Swap clothing, books, and toys with family and friends. Find ways to pay nothing at all for things you love by sharing, trading, and borrowing within your community. Keep your house cool by planting trees in the yard that offer shade. Even shading the pavement around you will help cool your home. Get fresh veggies for less by planting peppers, beans, tomatoes and more. Vegetables are filling and healthy. Not only does this reduce your grocery bill and potential health expenses, you might be surprised by the environmental impact of growing a small vegetable garden at home! You’ll reduce your carbon footprint by getting organic vegetables right outside your door, rather than driving a far distance to reach a remotely located farmer’s market. Also, growing your own produce means you get to choose what garden products and fertilizers to use. 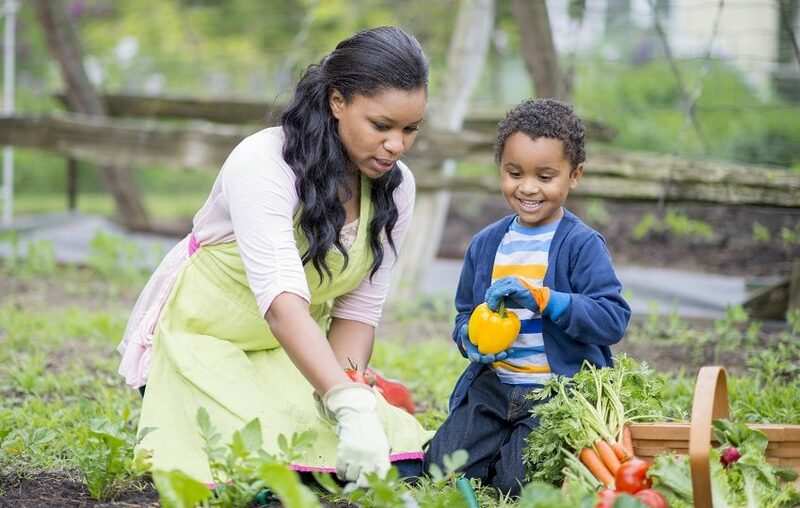 In contrast to commercial farming, which could involve the release of harmful pesticides and chemicals into the water and air, growing vegetables at home allows you to use natural fertilizers and nourish the soil. Reduce carbon emissions while saving money on gas, wear and tear, maintenance and insurance for your own vehicle. Plus, you reduce your risk of being involved in an accident, which could be costly in many ways! By biking or walking to work or errands, you save money on gas while reducing pollution. You may not be able to do it every day, but walks to your post office or grocery store will add up. You will also likely improve your health too, which could potentially save you in future medical costs too. Think outside the box by collecting rain in a barrel. Use it to reduce your water bill by watering plants, filling your children’s pool, or washing your car. You will save money on your heating bill by washing clothes in cold water. A clothes dryer uses a lot of energy. Cut down on your energy bill by line drying clothes. You will also save money on clothes, as line drying reduces wear and tear! Think about all of the things you throw away each week. Can you switch to towels instead of paper towels, or dishware instead of plastic bags? Consider using reusable water bottles, or cloth diapers. Many organizations offer cash for obsolete gadgets. Recycle your old phones, printers, monitors, and electronics that end up in landfills and potentially leak toxic chemicals into groundwater. Some banks and utilities will offer incentives to customers to encourage them to switch to online statements instead of receiving monthly paper statements in the mail. This way you’ll be able to view your records instantly and save some trees too. Involve your friends by encouraging them to try following some of these tips. All of these ideas not only help the environment, but over time, also add up to save you money. What other ways can you think of to go green and save money? Michelle Budzien is an Accredited Financial Counselor for askFinancial Wellness. She also assists with the Foresters Everyday Money financial helpline, providing unbiased financial coaching and education with the goal of improving the financial well-being of Foresters members. Michelle enjoys writing about all aspects of personal finance such as budgeting tips and tools, debt management, understanding credit, analyzing future needs, and industry trends.